The Collier County Sheriff's Office is investigating a homicide in Immokalee, that happened in the early morning of January 1st, 2019. 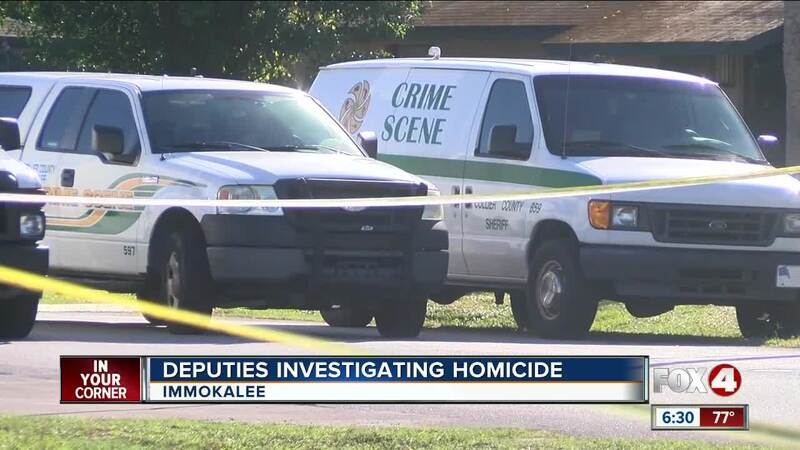 COLLIER COUNTY, Fla.-- The Collier County Sheriff's Office is investigating a homicide in Immokalee. Deputies responded to a home in the 2200 block of Chadwick Circle just after 3:30 A.M. on January 1st, 2019. A spokeswoman with the Sheriff's Office said the victim is Schimael Deroses, 21. No arrests have been made. "It's not fair," said neighbor Janie Castaneta. "I really hope if anybody knows anything (about the crime) it helps out the family. I know the community wants justice for this person. Even though we don't know him personally, we all feel like that." Deputies have not released the cause of death, nor the circumstances behind it. Stick with Four In Your Corner for more information once we have it.